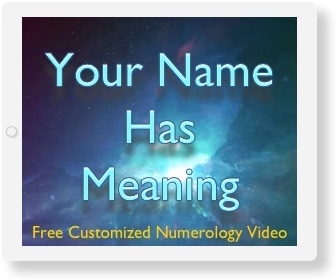 The energy represented by the essence transit number is related to who and what you are. It is likely to affect your decisions, how you feel about yourself, and your approach to life. An essence chart can reveal which energies are present now and which are still to come. It can reveal turning points and highlights of your life. An essence transit is from birthday to birthday. The transit number can change yearly or remain the same for a number of years. The general definition of an essence is the intrinsic nature or indispensable quality of something that determines its character. And that is what the essence chart reveals — an essence of the individual you recognize as yourself. Numerology calculations for an essence transit chart determine a transit number for every year, effective birthday to birthday. The online essence transit chart calculator can be used to construct your essence chart. The number for an essence transit is calculated from a letter of each segment of the name (first, middle, last, as available). The number is the sum of the letter values in a chart column, year by year. There may be more than one middle name, resulting in one or more additional segments. Or no middle name. Or the name may even be composed of only one segment. The interpretations of the essence transit energy can be a guide for a better and happier life experience. Use the essence transit calculator to calculate your numbers. Then use the interpretations further below to read about the energy represented by your transit numbers. For her first two years, her essence transit number was the number 2, a number of cooperation and relationships. She was likely a pleasant baby. At age 2, the transit number became a 6. The energy represented by the number 6 resonates with home, family, and nurturing. Again, a wonderful number for a child and also her parents. From age 4 to when she turns 5, the transit number 3 would have brought urges to express herself creatively. Then, during the year from age 5 to when she turns 6, it was the number 2 again. On her birthday at age 6 through the end of the current chart, her transit number is 5. The energy the number 5 represents resonates strongly with an urge to express the person’s sense of freedom. It is likely that she was a loving handful during those years, being interested in pretty much everything and pursuing them on whim as they got her attention. Now, let’s do another example. The same person but with an essence transit chart beginning at her 53rd birthday on June 8, 2016 and spanning a decade to June 7, 2026, the day before her 63rd birthday. From the beginning of the chart through age 55, her essence transit number is calculated as the number 8. It is a period that resonates with organizing, business, and material accumulation. The energy also resonates with realism and efficiency. At age 56, her essence transit number is the number 5 for two years. With a 5 transit number, changes are likely. The 5 energy resonates with expression of a sense of personal freedom and encourages following of whim. At age 58, her essence transit number is the number 3 for another two years. The transit essence 3 indicates a period of creative self-expression, of optimism, and of social activity. The next two years are the number 8 again. The 8 energy is good for the years preceding retirement as it encourages a person to accumulate financial and other material reserves. At the end of the chart’s period, at her 62nd birthday, is the number 3 again; another period of heightened creativity. The 1 essence transit brings the energy of new beginnings, discovering new things and ways to implement improvement. It’s a period of independent action. The energy includes the ideas of initiative, leadership, action, and decisions about how the past and the future are to relate to the present. The transit energy is one of self-determination. The 2 essence transit energy attracts partnerships and associations. It is intuitive and has a keen ability to understand others. The energy resonates best with cooperation, diplomacy, and peaceful coexistence with others. Giving and receiving assistance in a team spirit also resonates with this energy. It is an energy of cooperation. The 3 essence transit brings energy for creative endeavors and creative self-expression. Creativity tends to be in realms of music, art, literature, decorating, and other culture-related expressions. The energy encourages optimism and tolerance, and enthusiastic interactions with artists. The person tends to be inspiring, especially when associating with other creative people. The 4 essence transit brings practical energy, a matter-of-fact and methodical approach to life. There tends to be a focus on putting more order into personal affairs related to family, commitments, and career. Some focus on establishing a secure foundation for growth and attainment is likely. The transit energy is one of pragmatism. The 5 essence transit energy tends to bring a progressive period. The unexpected is likely to happen as the energy encourages following of whim. The energy resonates with expression of a personal sense of freedom. The transit tends to be an active period, with new contacts, increased interests in diverse cultures and societies, and travel. The 6 essence transit brings energy resonating with home, family, nurturing, and ideals. Responsibilities related to unselfish giving of time, advice, and funds to neighbors and friends are likely to be assumed. Recognition and standing in the community tend to be enhanced. The energy encourages nurturing those who need it. Family generally has first priority. The 7 essence transit brings a wide field of intellectual interests. The energy encourages more subjective points of view, an introspective consultation to resolve principles of beingness and thought. There may be pleasant psychic experiences or awakenings. The energy resonates with solving mysteries and scientific investigation of life questions. The 8 essence transit brings energy resonating with organization, authority, recognition, and material accumulation. Business opportunities of considerable importance may attracted during this transit. The energy encourages being realistic, along with efficiency and balance. Professional standing tends to be enhanced. It’s an energy of business affairs. The 9 essence transit brings energy related to compassion and a broad, tolerant mental attitude. It’s a humanitarian energy. It tends attract a diverse array of opportunities — business, profession, art, drama — which can affect the welfare of humankind. A psychological or spiritual expansion is likely. It’s an altruistic energy of compassion and tolerance. An essence transit lasts for a year, from one birthday to the next. The same essence energy may be in transit for two or more, even many, consecutive years. It describes the moving picture of energies flowing through your life. Use the numerology essence transit tool to calculate a chart of your essence transit numbers and their periods of occurrence.